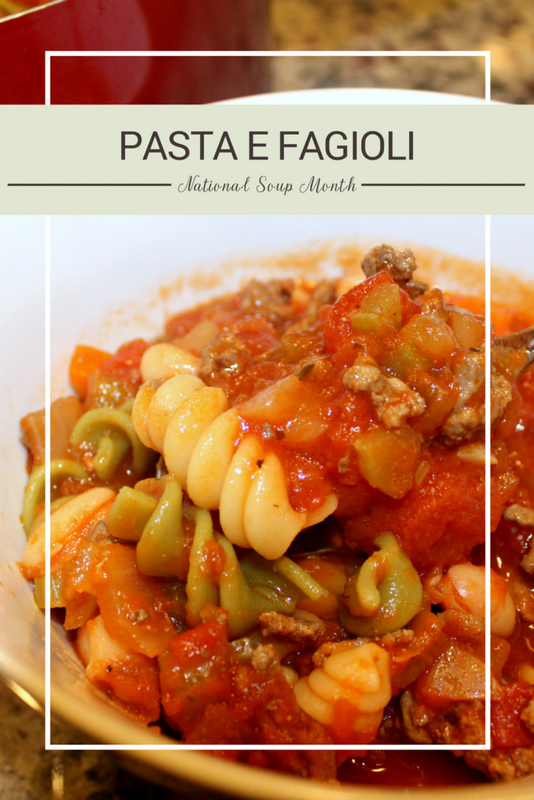 National Soup Month is coming to a quick close this week and I can’t help but admit that it makes me a little sad! Soup is one of my favorite foods. You can make hundreds of different soup recipes and never tire of them. At least that’s what I believe. January being National Soup Month gives you an excuse to go nuts on the soup intake. It was a lot of fun to create all these recipes as well. I noticed as I was working on my Q1 editorial planning that I was a little light on soup recipes in the recipe index so I felt a need to come up with more for you guys. I hope you’ve been enjoying them as much as I have! My goal was to get a good variety of soup recipes in there. It started off with a Classic Chicken Noodle that is perfect for beating a case of the sniffles. Next we kicked things up a notch with a flavor-packed Creamy Lemon Chicken soup. This one is perfect when you want to impress someone but still give them a meal that feeds the soul. Last week I recreated one of my childhood favorites, Creamy Tomato Soup and paired it with the best grilled cheese sandwich you will ever have. We’re finishing things off with a pasta-inspired soup packed with great ingredients that are not only delightful but economical as well. 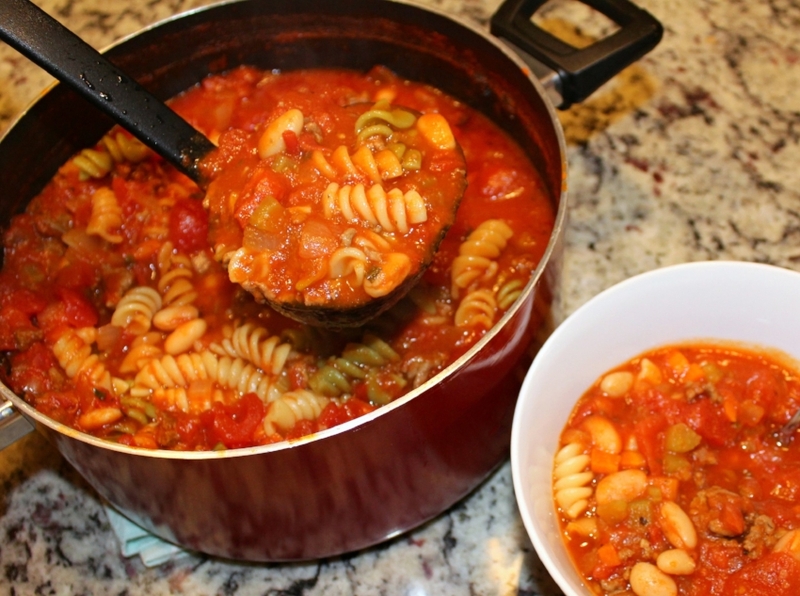 Pasta e Fagioli translates to “pasta with beans.” Now a classic Italian dish, it started as a peasant’s meal using scraps and cheap ingredients (aka, pasta and beans). We gave it a bit of an upgrade, which most people tend to do nowadays, but it still is an affordable meal and one that serves many. I like to add ground beef to simple soups like this because it makes one scoop go a little farther. Adding meat, even a little bit, makes the soup heavier so it takes less to fill up one person. So while it might cost you a few more bucks, it will feed more people in the long run. Make sense? I prefer using a traditional white bean like Cannellini Beans with this dish but Great Northern Beans or Navy Beans would also work well. Regardless of whether the dish includes the ground beef, using beef broth makes the soup much more rich in flavor. Chicken and vegetable stock would also work well but the flavors would be lighter instead of hearty. 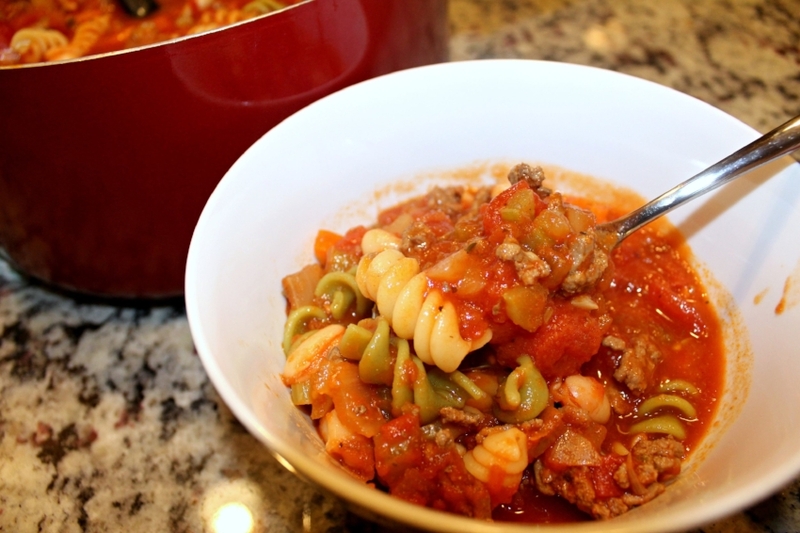 I love that hearty, rich flavor in this soup, especially since it’s simple at its core. Like any other recipe you come across whether on this blog or any other, use your own preferences! If you want to leave the meat out, go ahead. Have chicken stock on hand and don’t want to buy beef stock, more power to you. I am not here to judge. I simply love to share recipes that I enjoy to inspire great eating in your own home. I go rogue on recipes all the time. Who would I be to judge you for going rogue on mine? 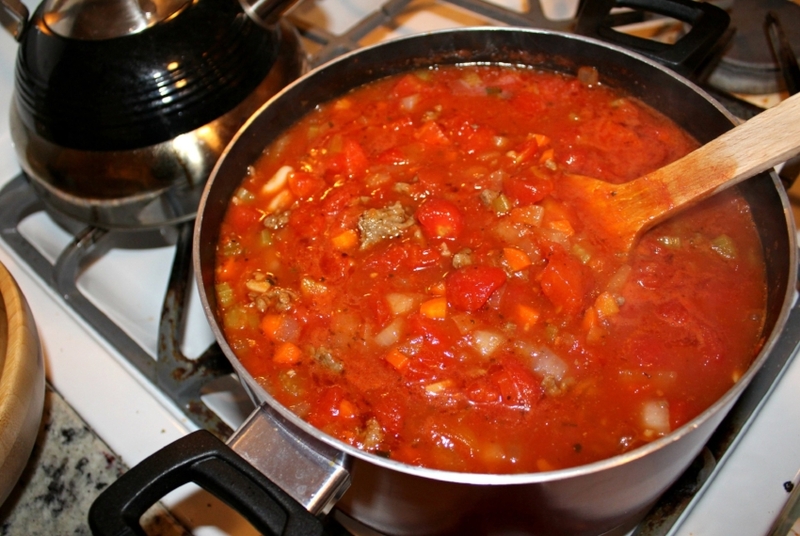 1 - Add the ground beef to a large soup pot over medium-high heat and cook until browned. Remove the beef to a paper towel lined plate to drain the fat. 2 - Place the pot back on the stove over medium heat and melt the butter. 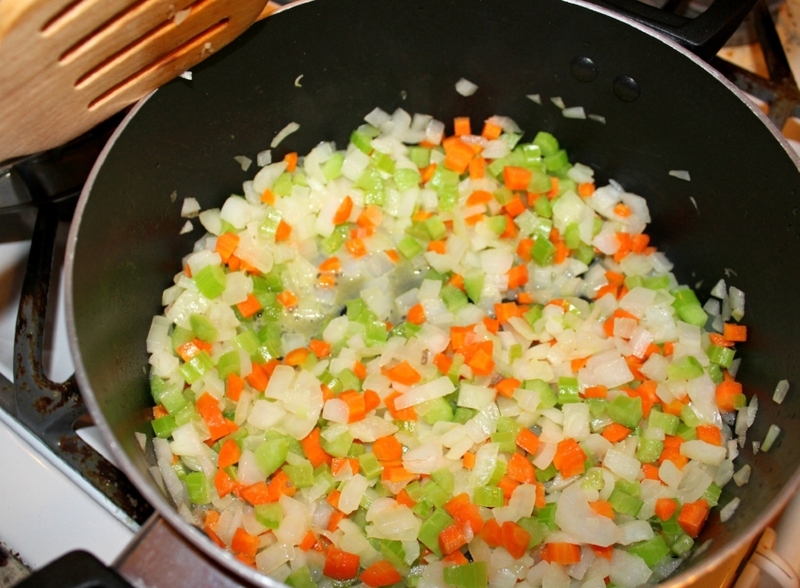 Add the carrots, celery and onions. Cook until softened. Add the garlic and cook a minute or two until fragrant. 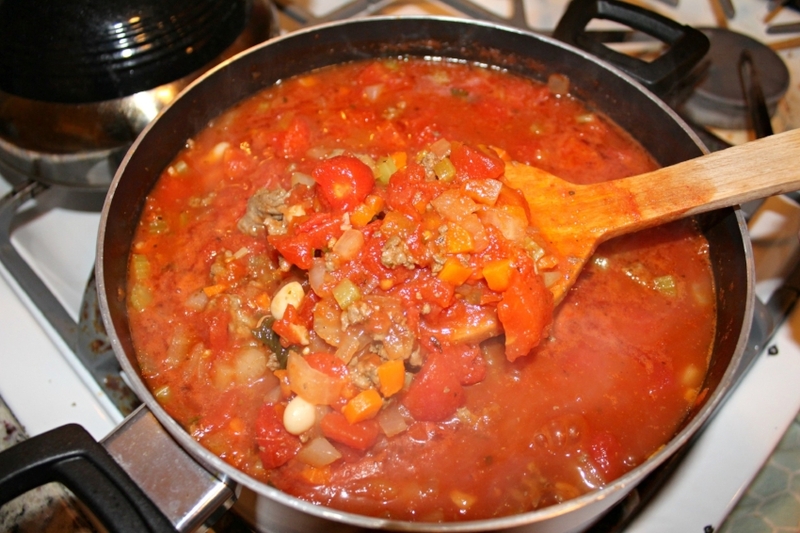 Add the herbs, all of the tomatoes, tomato sauce, beef broth** and the cooked beef. Bring to a boil and let simmer for about 15 minutes. 3 - Add the pasta and beans to the pot. Simmer until the pasta is al dente. Serve with crusty bread. * Note: Elbow macaroni are idea but if you happen to forget it at the store like I did or have another small-cut pasta in the pantry, that works fine as well. ** Note: four cups of beef broth with create a chunkier soup. Six cups of beef broth will still provide a chunky soup but with more liquid. You can start with four cups and add more as desired. I made this recipe twice, the first time with a full six cups and I actually prefer it that way. The second time I made this recipe, I ran out of room in the pot I was using so I used four. It was still delicious, but it had more of a stew consistency.